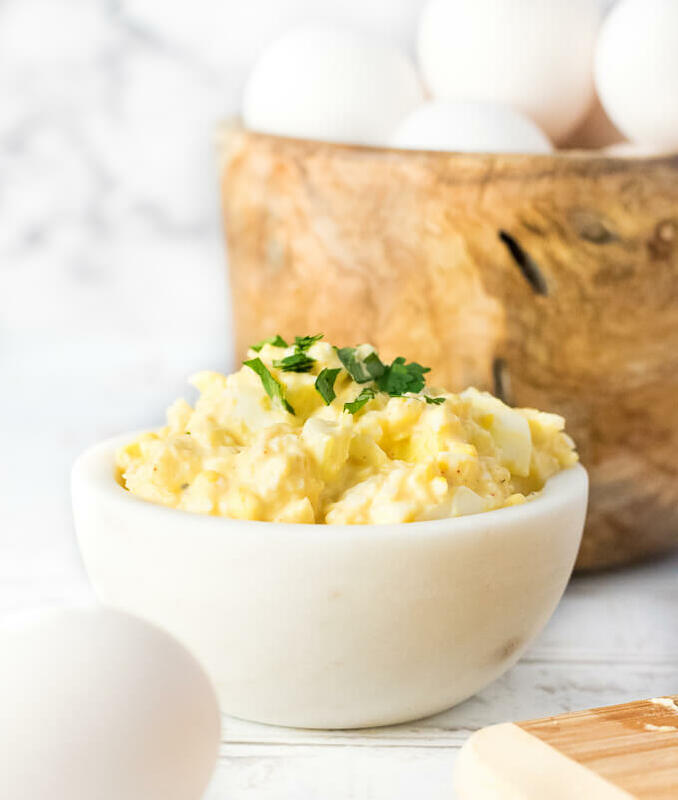 Classic Egg Salad is simple to make and exceptionally flavorful. Serve it as a sandwich, or simply enjoy in a bowl. So, let’s get prepared for that inevitable day, shall we? The ingredients for a classic egg salad are largely customizable to fit your tastes. The basics include hard boiled eggs, celery and/or onion for crunch and texture, mayo to form the base of the sauce, and mustard and seasonings for flavor. You can make egg salad without mustard by using lemon juice instead, they both provide the needed bright flavor. My recipe calls for both because I like the punch they provide. Many recipes don’t call for much seasoning beyond salt and pepper. However, I highly recommend using smoked paprika, it will be your secret ingredient because provides the perfect deep counterpart to the bright flavor of the mustard and lemon. In a pinch, regular paprika can be substituted, or omitted altogether. Place eggs in a pot (affiliate link) filled with cold water, a splash of vinegar, and salt. Cover the pot, turn on the heat, and bring it to a boil. Once boiling, shut off the heat and let the eggs sit for 15 minutes, then remove the eggs from the water and place in ice water to cool. You will have perfect hard boiled eggs. Once you have your ingredients prepared, making egg salad is simple. You can add all of the ingredients to a bowl and mash to combine, however, you risk over mashing the eggs before all of the ingredients are sufficiently mixed. I find it is best to mix all of the ingredients, except the eggs, first. Then add the eggs and briefly mash so they are able to maintain a chunky consistency. 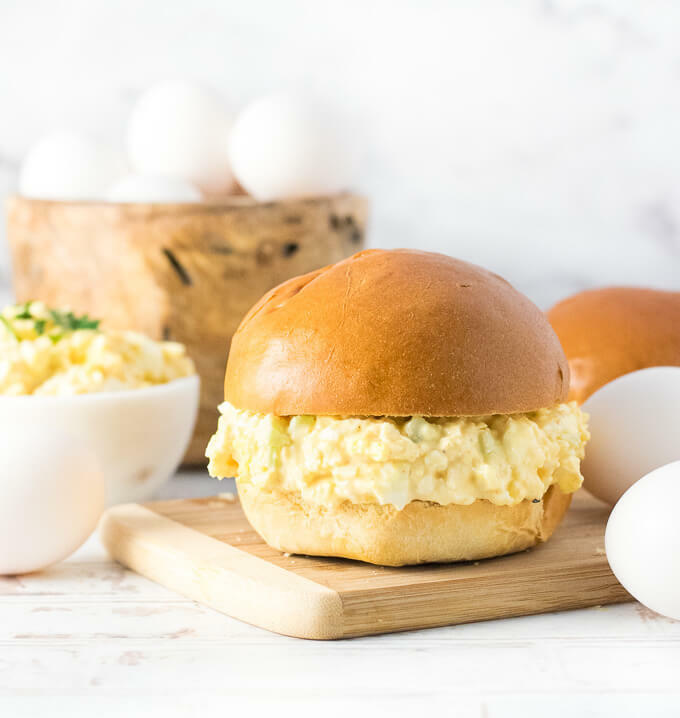 Egg salad can be enjoyed as is, or placed on a bread for a fantastic egg salad sandwich! Combine all ingredients into a bowl, except eggs, and stir to combine. Add eggs and briefly mash with a fork or potato masher until they are broken apart but still chunky. IF YOU LIKE THE CLASSIC VERSION check out my Healthy Avocado Egg Salad too! 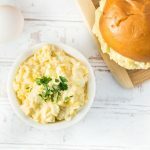 If you enjoyed my Classic Egg Salad recipe then you should probably like me on Facebook and follow me on Pinterest too. That’s what I would do at least, because if you don’t get to know me but you still use my recipe it is kind of like taking candy from a stranger, and your mom taught you not to do that. Don’t disobey your mom, subscribe to Fox Valley Foodie today. 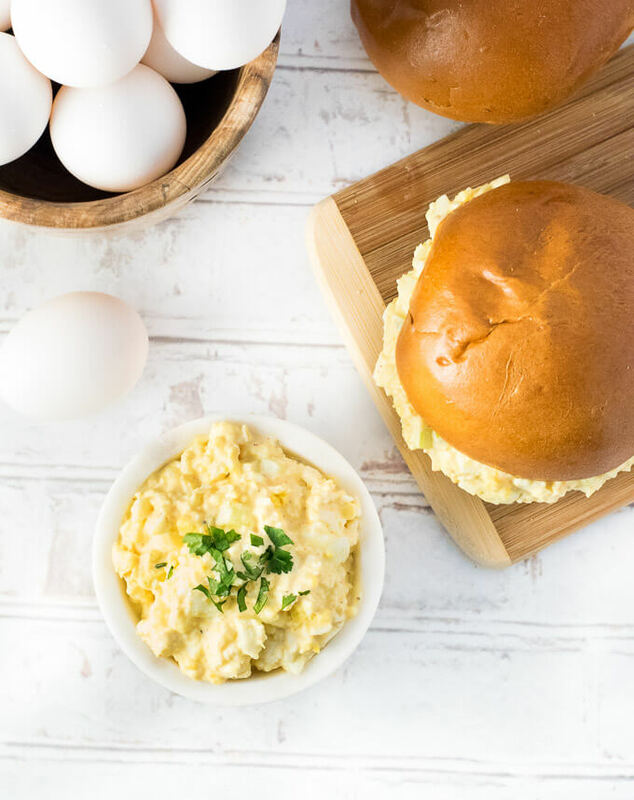 Egg salad is one of my faves – I’ll have to try it with paprika! And your rolls look gorgeous – are those homemade?